The Kindle Oasis has a book-like spine and battery-boosting leather cover. 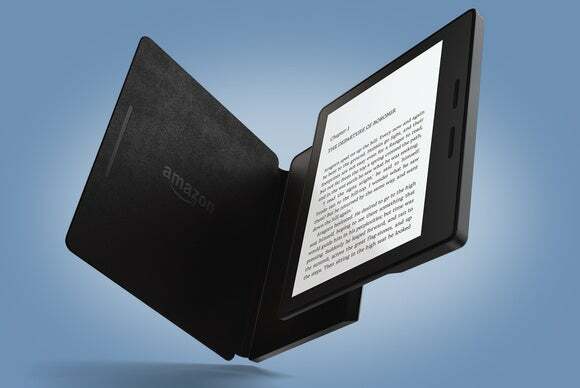 Amazon is turning the e-reader into a luxury item with the new Kindle Oasis. Starting at $280, the Kindle Oasis is Amazon’s most expensive e-reader since the Kindle DX from 2010. Amazon says its mission with Kindle is to “make the device disappear so you can lose yourself in an author’s story,” and in this case, that means making the device more book-like. To wit: One side of the Kindle Oasis sports an extra-wide, extra-thick bezel, which seems like a nod to the spine of a paper book. Users can hold it in either hand, and the screen will flip around accordingly. 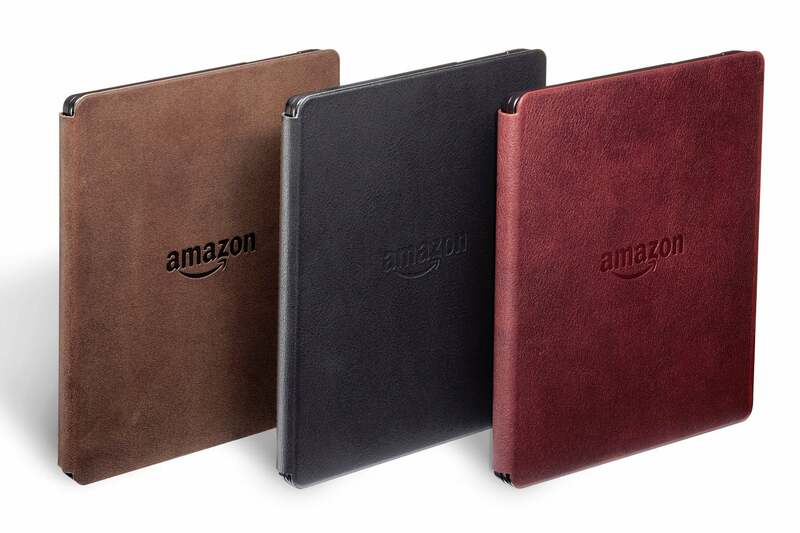 Amazon is also including a leather cover with the Oasis. Aside from just making the package look classier, the cover includes its own battery, which combines with the e-reader for up to eight weeks on a charge. Plugging in the Kindle Oasis with the cover attached will charge both devices, and the e-reader is smart enough to deplete the cover’s battery before tapping into its own reserves. A choice of Kindle Oasis battery cover is included in the $280 price. Amazon hasn’t given a precise release date for the Kindle Oasis, but is taking pre-orders now for shipping in the “coming weeks.” As with other Kindles, Amazon charges an extra $20 to remove “Special Offers” ads from the device’s lock screen. A 3G model (for downloading books without Wi-Fi) is also available for $70 more. Meanwhile, Amazon still sells a basic Kindle for $80, the higher-resolution Kindle Paperwhite for $120, and the $200 Voyage with adaptive lighting. Why this matters: For years, Amazon had been racing to the bottom on e-reader pricing as it tried to edge out rivals like Nook, Kobo, and Sony. Although the company still sells readers for cheap, it’s also trying to appeal to ebook diehards at a premium. Amazon must have enjoyed some success on that front with the Kindle Voyage, given that the company is now charging even higher prices for the Kindle Oasis.